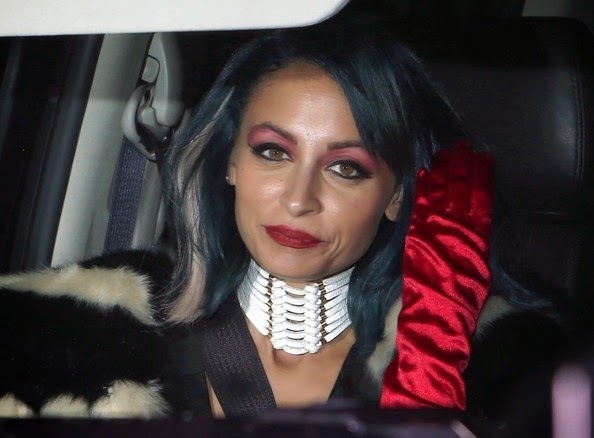 Nicole Richie attended Kate Hudson's Halloween party (30th October 2014) dresses as Disney villain Cruella De Vil. 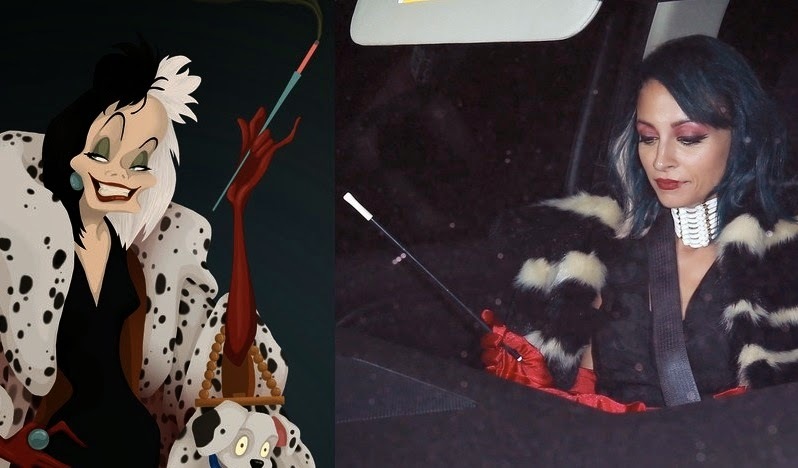 We love Nicole's DKNY monochrome faux fur coat - very Cruella! 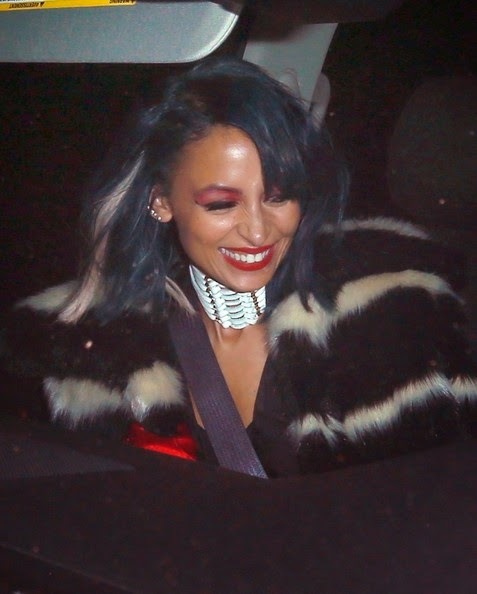 It is also a wearable transitional piece which if you take away the 'Haloween' aspect, it is a glam on-trend easy to wear from day to night winter look!